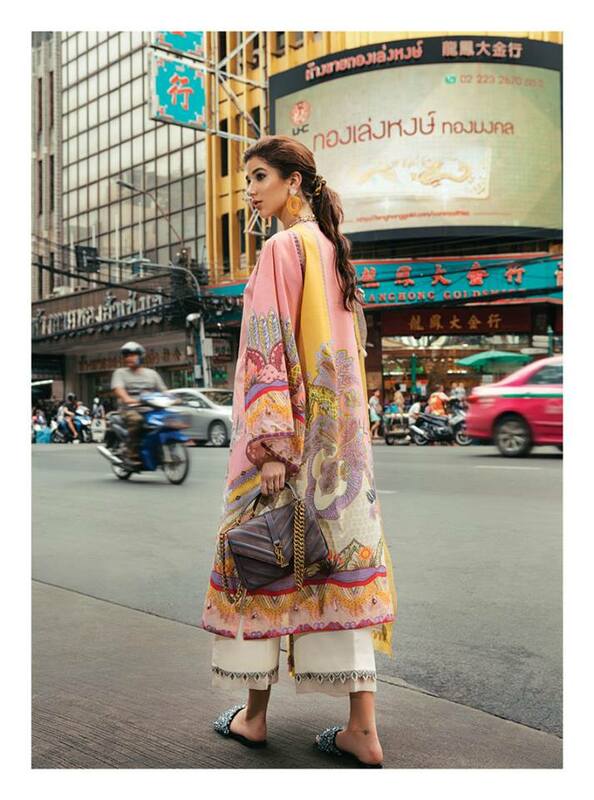 Sana Yasir going to launched Epoque Suffuse Lawn 2019 on April 4th nation wide. A well known formal and bridal clothing brand presenting magnificent lawn collection for summer season 2019. Combination of bold prints and bright colors giving sensational look to these dresses. Suffuse a well known name belong to Sana Yasir or famous in women due to his amazing fashion sense. So in this summer Suffuse going to launched very first collection for summer season in marvel designs and traditional prints. Epoque Suffuse Lawn 2019, pioneering in fabrication and embroidery has been churning the best of the craft for more than a decade. Epoque has always taken pride in providing their patrons with top notch fabric mix with most premium embroidery details and innovative forms of printing. Our vertically integrated textile house has always garnered appreciation from local and international clients. Suffuse by Sana Yasir is a brand synonymous with haute couture, fashion forward design philosophy and intricacy of their craft and with this unique merger, Epoque is excited to bring a collection that will set new benchmarks. Epoque Suffuse by Sana Yasir unstitched Luxury Lawn is vibrant yet easy on the eyes, their design philosophy takes inspiration from oriental charm and utilizes the most innovative techniques of fabric detailing that sets Epoque apart from the rest. 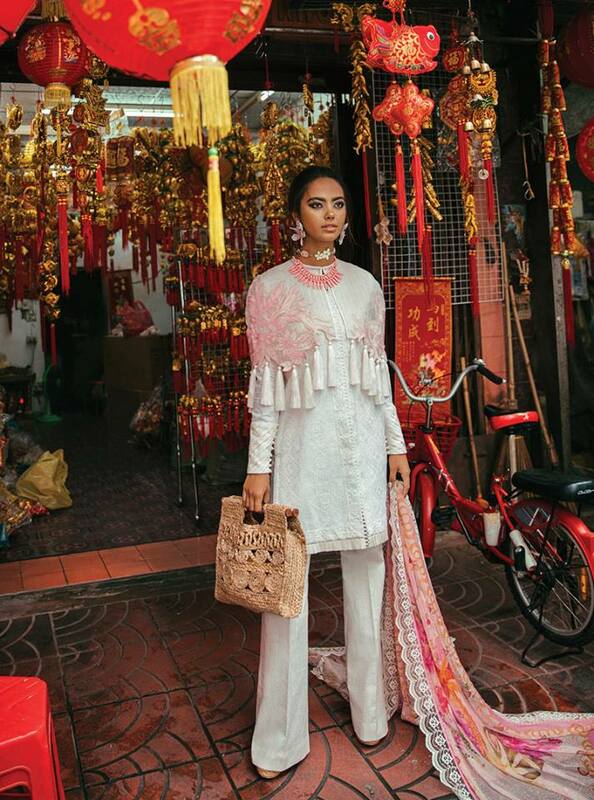 The high fashion look of the shoot gives a perfect glimpse into the life of our Epoque women, who are strong, who travel the world and slay true to their roots, its a tribute to the independent go to getters who we proudly call our own! Sana Yasir also introduced wide range of luxury dresses including formal, casual, party wear, or bridal wear also in classic style and trends. So in this summer here is very first look of latest collection of Epoque Suffuse Lawn 2019 By Sana Yasir. Prime quality lawn dresses for your festive and occasions wardrobe. All dresses of this collection have very amazing prints with modern cut and style. In this collection designer Sana Yasir also bring some really adorable change in stitching or setting up some really amazing fashion trends in stitching and clothing. 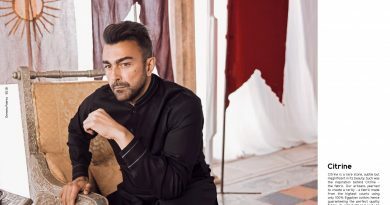 So here is complete catalog of Epoque Suffuse Lawn 2019. Hope you like this collection as well or want to change your wardrobe style in this summer 2019. Let’s have a look or enjoy summer with latest fashion and style or stay with us for more details of latest designer collection of leading clothing brand of Pakistan. Raven is one of the stunners from the Epoque X Suffuse SS’19 collection. Solid blacks definitely put us in a mood for summer romance. 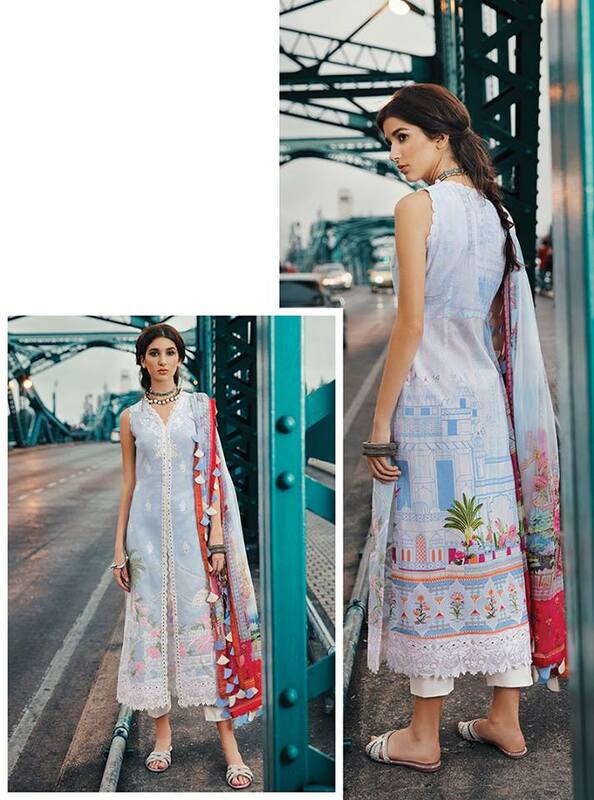 Cross Stitch embroidery inspired by the Oriental art, the look is finished with a gorgeous pure medium silk dupatta and black printed pant makes it your perfect outfit for summer dinners and gatherings. Launching first week of April nationwide! I like this color badly, peach color give me lot of attraction print and embroidery really sensible with bright color. But if designer use light aqua blue color with this dress then its probably looking to much aggressive. Yellow looking fine but Aqua blue giving amazing looking to this dress. A bright yellow color give you prominent look with amazing traditional embroidery and marvel prints. Really a master piece introducing by Sana Yasir. Hope you like well. Another amazing dresses for your festive wardrobe with innovative designs and contemporary art. Sensational embroidery giving pretty look and bright color looking gorgouse. Dress have extra embellishment of long tassel your can adorned this dresses with beads. Dupatta have very unique print and embellished with lace. So all over an amazing dresses defiantly enhance your look. Mint odyssey features a perfect shade of mint accentuated with thread embroidery on textured custom made jacquard , paired with white pants that is finished with embroidered border. The pure medium silk dupatta with printed gold and teal design is adding an edge to the entire outfit.Shine like a diamond this summer. 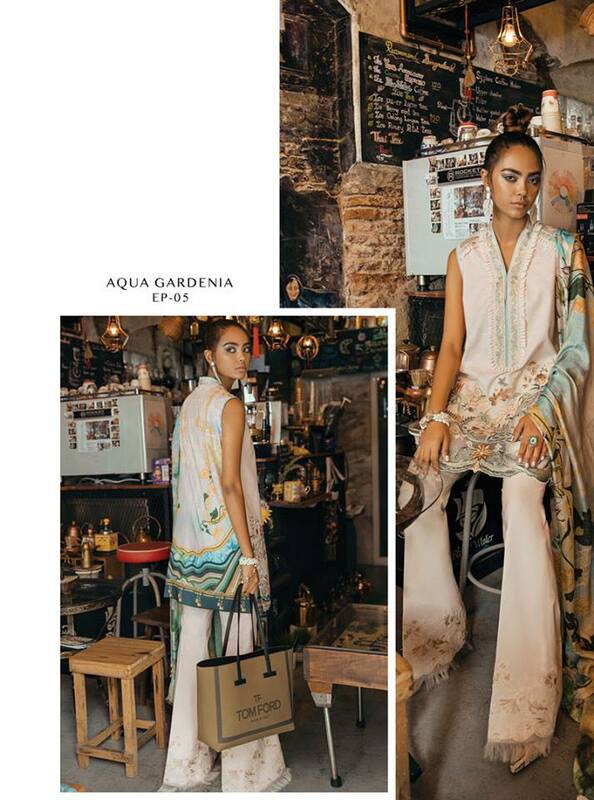 Presenting to you, first look of year’s most anticipated, Epoque Suffuse Lawn 2019. 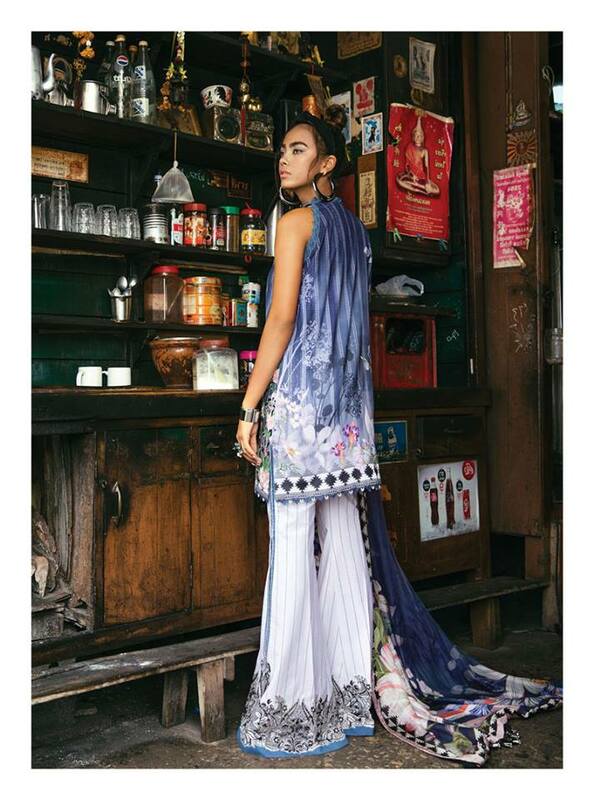 Embrace the evergreen amalgamation of Asian and Oriental charm with awe inspiring design influence of Epoque Suffuse Lawn combined with cutting edge textile techniques and fabrication of Sana Yaisr.